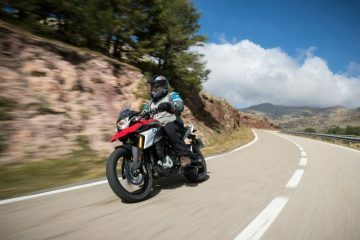 The BMW F 800 GSA isn’t so much a new machine anymore, but it is one that is often considered by those searching for a new adventure bike. 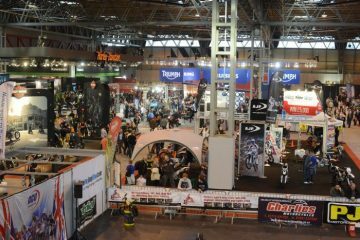 With that in mind, Alun Davies has highlighted nine features that caught his eye. 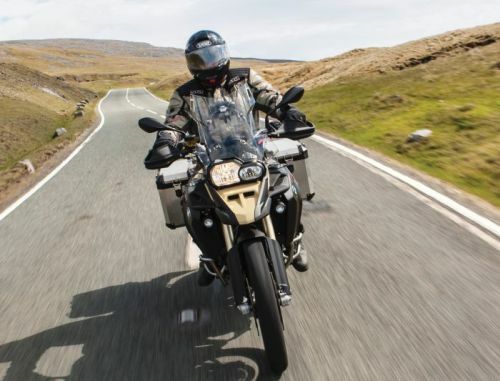 If you’ve ever thrown a leg over the BMW 1200 GSA then you’ll know how easy it is to get used to having a massive tank capacity and the luxury of 350 miles between fuel stops. 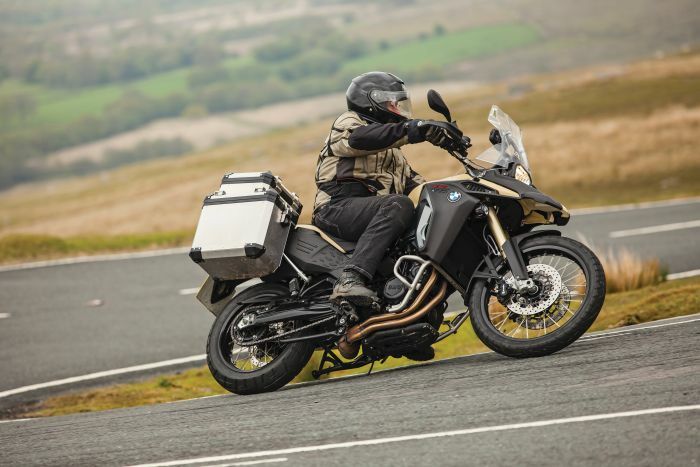 While not getting anywhere close to the oil tanker characteristics of the 1200, F 800 GSA has a 50% larger fuel tank (up from 16 to 24 litres) than the standard 800 GS. Better still, this extra gas is stored in fuel tanks under the seat, and in my experience, did nothing to detract from the excellent handling and balance we’ve come to expect from the stock 800. A bit of a personal taste one this, but if you like the looks of the 1200 GSA (and I do) then you’ll be smitten by the appearance of the 800 GSA. There’s no mistaking that the 800 is out of the same gene pool as its bigger brother and from some angles you could be forgiven for getting them mixed up. Certain sections of the motorcycle Luddite community blow fuses with any new development in motorcycle technology, and some no doubt long for a return to wooden cart wheels. While I like a bit of no-fuss back to basics myself, I’m also a fan of any new development which adds to my riding experience and the BMW Electronic Suspension Adjustment is one such feature. The ability to alter the suspension settings at the press of a button from sports (hard) to normal (medium) or to comfort (soft) while on the move is a superbly painless facility. Based on the effectiveness of most stock screens found on new motorcycles, I can only assume that manufacturers appear to be of the view that riders love the turbulence and wind blast found in the vortex of a Kansas twister. Not so on the 800 GSA. The screen is both effective and solid on its mounts making the saddle a serene and peaceful perch. The bench seat on the 800 GSA is a step up in comfort from the older 800 model. It’s tapered from front to rear, which means it’s wider where your backside needs to be pampered most while still being narrow enough at the fore for adopting the perfect off-road riding stance. There’s a step up in height for the pillion, though not so much as to make your riding partner feel as if they’re overly exposed. Off-road riding presents a unique set of challenges where some riders just want to cut loose with power slides, sharp turns on the back brake and all the associated mayhem. Others will just want to know that they are riding the rough stuff in as controlled a fashion as possible and this is where the ‘Enduro Mode’ switch comes into its own. 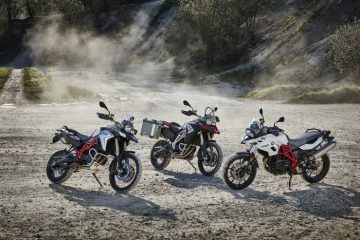 When selected, the ABS and traction control offer slightly delayed intervention, which in most off-road circumstances means more braking and acceleration control for the rider with a built-in safety net. The optional BMW-branded GPS (it looks like the Garmin Montana to me) come with OS maps pre-loaded at a scale that displays green lanes. 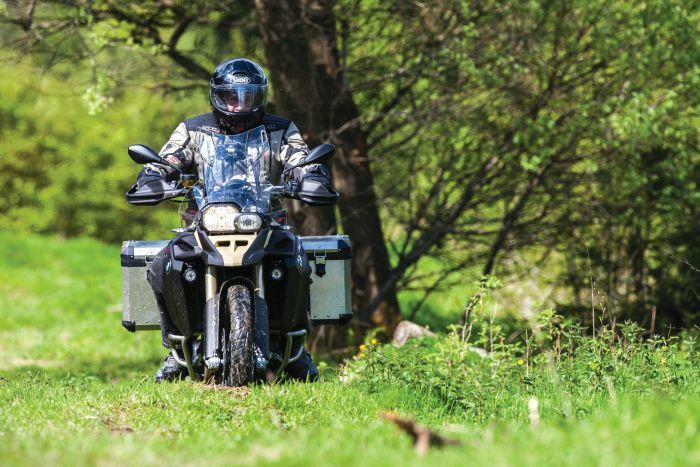 Although we’ve not had confirmation, we reckon these 50,000 maps, which are spot on for all green lane groupies, are what all adventure bikes should come fitted with as standard. 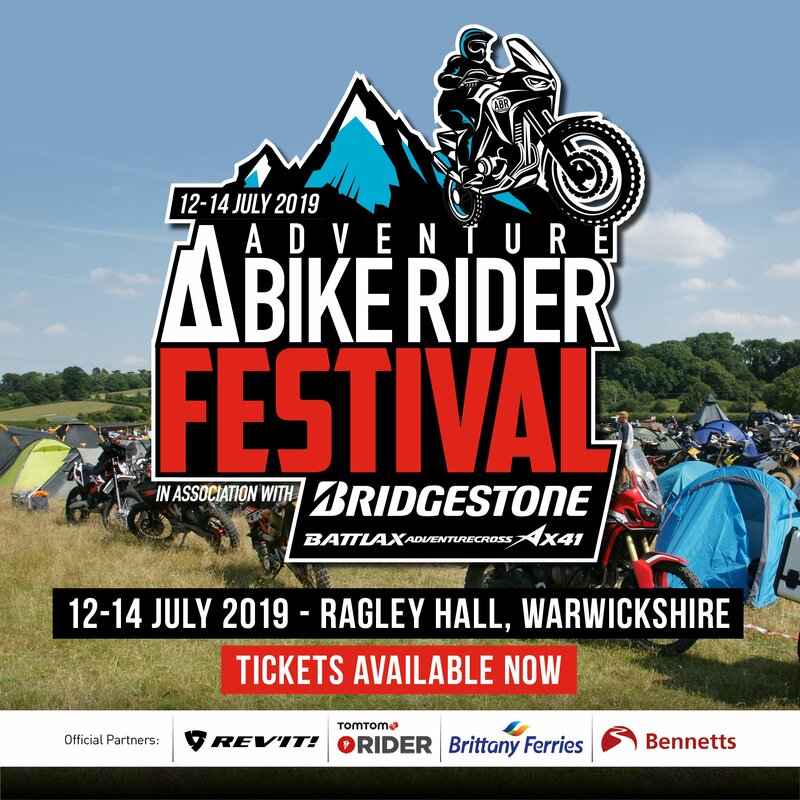 While ABS can be a lifesaver on road there are occasions when having the ability to switch it off in off-road conditions is a highly desirable feature, and one that’s not found on all modern adventure bikes. Given the choice (and if the EU has its way we’ll not have that for much longer) I’d always go for a system that allows complete ABS disengagement should I wish. 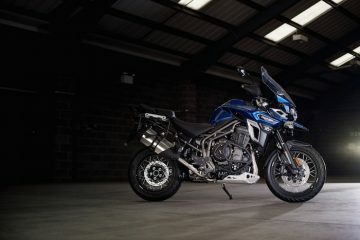 There is a unique UK-only option to choose the ‘Adventure Travel’ version of the 800, which at £10,535 (OTR) comes factory fitted with all of the following farkles: Automatic Stability Control; Enduro Mode; Heated grips; LED auxiliary headlights; on-board computer; centre stand plus optional off-road tyres. 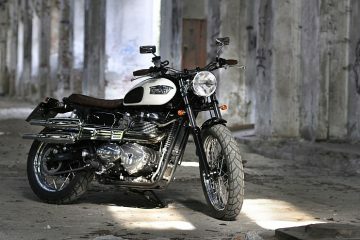 This represents a price saving of £665 over a standard model, plus all the above upgrades.